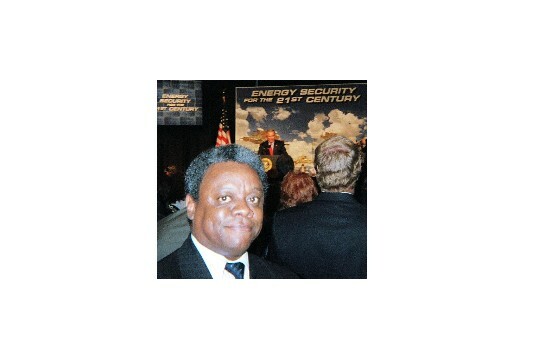 Center President Norris McDonald was invited by the White House to attend the August 8, 2005 signing of the Energy Policy Act of 2005. 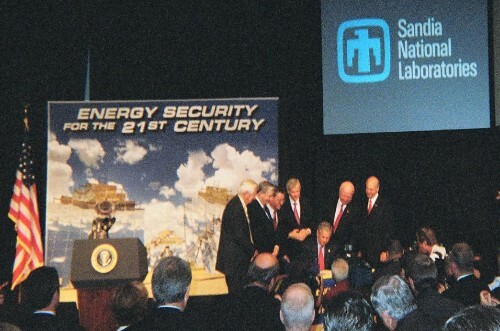 The signing ceremony was held in the Steve Schiff Auditorium in the Technology Transfer Center at Sandia National Laboratory in Albuquerque, New Mexico. 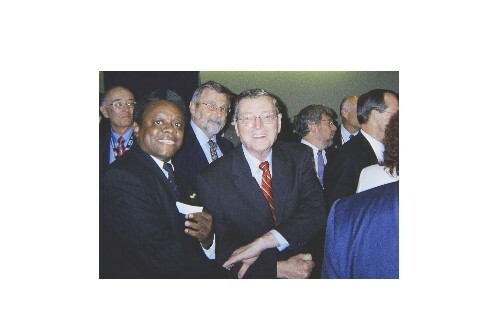 White House guests were picked up by buses at Kirtland Air Force Base and taken to the historic event at Sandia. 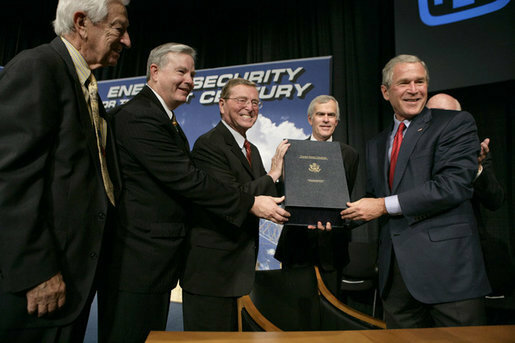 Left: President Bush delivers speech on the Energy Policy Act of 2005 with Norris McDonald in foreground at Sandia National Laboratories.